The sandy ground gives the grape an intensive aroma of apricot. 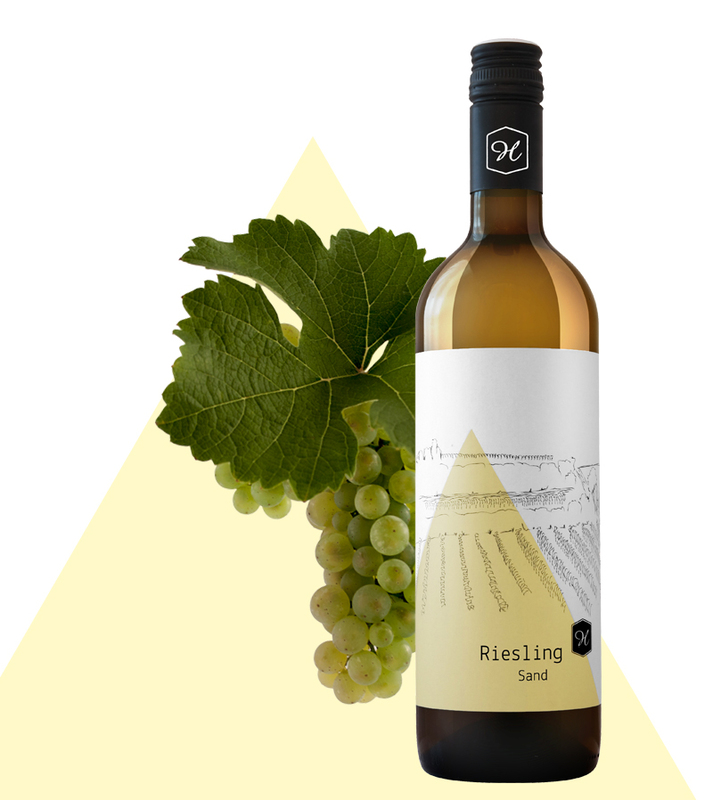 The Riesling is very fruity on the palate with a subliminal acidic structure. The location “Sand” is situated to the north and directly adjacent to the village Großriedenthal. Gravel and Sand with occasional layers of loam are predominant in this soil. Officially the location “Sand” is part of the reed “Hinternberg”. The reed “Hinternberg” connects the villages Großriedenthal and Neudegg. The vineyards here are mainly laid out as terraces. The name “Hinternberg” originates from the residents of Neudegg. For them the area on the south side was behind the hill, therefore “Hinternberg” (“Hinter” = behind + “Berg” = mountain/hill). Occasionally there are still footpaths visible between the vineyards where in earlier days the residents of Neudegg would walk to Großriedenthal.